The Hartford Conservatory is rumored to be haunted. Witnesses have described a door being slammed, a light that won't stay turned off, classical music being played on a piano, and an apparition of a woman in a Victorian dress. The site was featured on an episode of TV's Ghost Hunters. Cedarcrest Hospital was demolished in 2013; the map shows where it was located. Folks say the early 1900s mental hospital was haunted; witnesses have heard screams and doors slamming and seen orbs. The birthplace and childhood home of dictionary creator Noah Webster is open for tours, and many say is still home to the man's ghost. 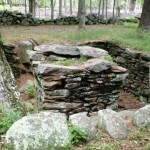 Once a 1705 copper mine, its tunnels were made into Connecticut’s first prison 1773-1827. 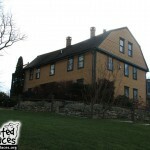 The site is known to be a hot spot for paranormal happenings. Several apparitions and even a ghostly tour guide have been reported, screams have been heard, and guests have described being touched by something unseen. Legend has it that two boys drowned in the pond here in the 1920s, and their ghosts still linger in the area. In summertime, park visitors have heard them laughing and splashing and seen the water move, although no one is visible. The historic 1891 hotel is known for ghostly activity. Alice Conley, one of the original owners, is believed to haunt Room 353, the room in which she died. 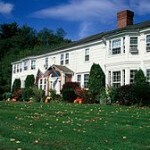 Ti West's 2011 horror film "The Innkeepers" is based on the story of this inn. The ghost of an elderly Native American woman is said to haunt the kitchen and dining room. Her apparition has been seen and photographed. Orbs have shown up in some photographs as well. Although it closed in 2009, the Carousel Gardens Restaurant was said to be haunted by original owner and founder of Seymour, William H. Wooster and his daughter, Ruth. Witnesses have heard the unexplained sound of breaking glass and seen a ghost cat with glowing eyes. A night custodian here has witnessed apparitions on the stairs, cold spots, and books that slide in and out of shelves on their own. Rumor has it that the ghost in residence is deceased former librarian Lydia Barton. 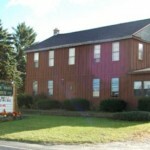 The library has been featured on TV's Ghost Hunters. At this 1763 colonial mansion, now a bed-and-breakfast inn, a ghostly White Lady is known to walk through the second floor of the main building and out to the empty house in the back. Shubert Theater hosts touring musicals and popular music concerts and is said to have a ghost. Details about the haunting are unknown, but reports allude to strange activity occurring within the theater's walls. In fact, paranormal investigators were contacted to check out the theater; results are unknown. Saybrook Point Inn and Spa is also used as a special events venue, and it is during weddings that the ghost is said to appear. A phantom bride has been known to appear in photos taken at weddings held here. Her identity is unknown.